with our personal response to the love in which we have come to believe. a contact with the divine Persons into which we are taken by the grace of God. It was not until 2007 that I was blessed to learn about Spiritual Directors. Someone who could guide my prayer and budding relationship with Christ. Shortly after the discovery that such a wonderful thing existed, my prayers were answered when Fr. Joseph Dang was assigned to me after a call to the local retreat house inquiring about the availability of directors. Fr. Dang was from Vietnam, very soft spoken with a thick Vietnamese accent. Every week I would have to really focus to not only hear but understand him; which I am convinced was part of God’s plans to teach me to be quiet and pay attention! It was a wonderful first experience with a Spiritual Director – we alternated between getting to the root of the issues that kept me from loving and trusting God more fully, to teaching me different prayer practices, and because he was a Priest, some visits I was able to receive the Sacrament of Reconciliation. Fr. Dang and I met every other week for about a year, until he was transferred by his order to Texas. Following his transfer, I did try another one of the directors, a religious sister, at the retreat house but we just did not click. It was not a prayerful search for a replacement – which was a mistake. This is an important decision and should be prayerfully approached. Director #3 – another Priest who was sorta famous in his work – super funny, engaging and insightful, but again we just didn’t mesh as director and directee. Again, there wasn’t much prayer, this was more stars in my eyes. PRIDE and honor seeking is never a good ways to pursue finding a Spiritual Director. Then came the desert period, where I was on my own for a while. I was unsure who to ask next – the retreat house was presently out of options, the local Archdiocese had availability but the travel was unappealing to meet with someone on a regular bases, and as for local Priests – I felt uncomfortable given their already overloaded schedules. **SIDE NOTE: I have since learned it is not MY place to determine if someone’s schedule is too full to include Spiritual Direction – don’t be afraid to ask, but DO BE prepared for them to decline. Most importantly don’t take it personally if they say no, as they may be the avenue to whom God does have for you!! That is kind of what happened when I finally emerged from my dry time to renew my search. First, let me clarify that desert or dry experiences of prayerare not necessarily bad. The Lord did a great deal with my spiritually during that time, I learned to persevere in prayer even if I wasn’t “feeling” it; as well as an opportunity to put into practice all those lessons gleamed during my time with Fr. Dang. It was a beautiful time of reflection and searching – and from it I for the first time realized that I had felt distant from God but had NOT DISTANCED myself from God. In the past when that loving feeling faded with spiritual things – when I had gone from the honeymoon phase to the day to day of living a life of faith – I would gradually leave all things God of out daily equation. Eventually discovering I barely gave God a thought… until something happened and I needed him again. This time things were so different, I continued to seek and enjoy the search, praying without ceasing, and without my even realizing it – continuing to grow in faith. 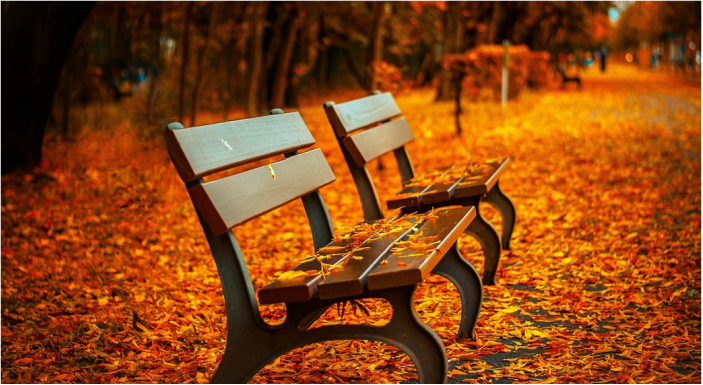 While that was all wonderful – there was still something (or should I say someone) missing in my life. I longed for that Spiritual Guide, a Spiritual Mentor in my life. We had settled into a new church, and I adored our Pastor. His homilies, bible study leading, and confessions were phenomenal and nothing I had ever experienced before in my life as a Catholic. I prayed and asked God to guide my choice, and approached him. He sweetly offered to meet once every other month but I was hoping to find something a little more regular. Father suggested asking our Deacon – that idea had NEVER occurred to me. OF course, a Deacon – they are there to serve, they receive education and training and are ordained. *SIDE NOTE: Lay people make fantastic Spiritual Directors too. The key is praying and asking GOD to lead you to the perfect SD, and to trust in those nudges and leads! At first I was unsure if OUR Deacon was the one for me – he was considerably older than I and we’d not spoken much in the few months I’d been a parishioner. One Sunday morning, I prayed during the Consecration for a clear sign that Deacon Jerry was the Spiritual guy for me. He was preaching at the Mass that morning, not a normal occurrence, so I took that as my sign. After Mass, I scurried to catch him but he was gone – some much for seeking signs. I was still at the Church helping the musicians pack up when Deacon Jerry appeared – seemingly out of nowhere – back on the altar. I got so excited, I rushed to speak with him, never noticing that the guitar player had put his case at my feet, I soared through the air, basically landing at Deacon Jerry’s feet. Gathered myself, pretending like the acrobatic show never happened, and asked if he’d join me on my journey to grow closer to Christ. He graciously accepted – it MAY have been a pity thing seeing how desperate I must have seen throwing myself at his feet and all!! The quote at the beginning of this post came from a book Deacon Jerry gifted me in October, 2013 – A Heart to Know Thee by Fr. 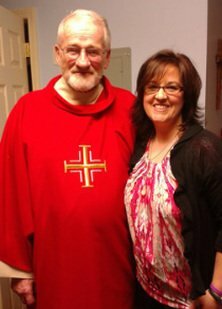 E. J. Cuskelly, so much a part of his own spiritual journey – it is like having the good deacon with me all the time in book form! We are still together today – Praise the Lord. It is difficult to sum up exactly what I have gained in my countless hours of conversation with my Spiritual Director – perhaps it is best to say that the book is not the only gift he has given me! Have a post you love but wish more people had a chance to see?? 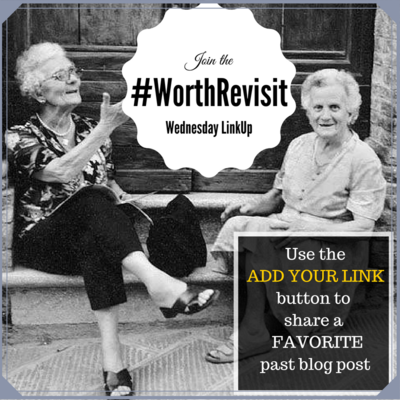 Then #WorthRevisit Linkup is FOR you!! Just ADD YOUR LINK below … Elizabeth and I share on Social Media!